As you can imagine, I was devastated. I’d never heard of Meniere’s disease or any other vestibular disorder for that matter. But my quality of life had rapidly deteriorated over the past 6 months. I was having violent attacks of vertigo with a constant uncomfortable pressure in my ears. I was cognitively impaired by brain fog at all times, and falling behind in school. My life was unraveling, and it wasn’t going to stop any time soon. The doctor wasn’t going to be able to help me. The problem was suddenly very real and very permanent. At 24 years old, I thought my life was over. I had lost all hope of having a life worth living. But in the chaos and darkness that followed, I was lucky enough to find the Vestibular Disorders Association, and take the first steps of my journey back to health. And as result, I live a good life today. I’ve found countless ways to cope and manage my symptoms. And I’m able to devote my time to help others who are still suffering in confusion and despair. You see most people have never even heard of a vestibular disorder. And that’s a HUGE problem, because vestibular disorders can completely destroy your quality of life. They’re also far more common than most people realize. Almost everyone either knows someone who struggles with dizziness or vertigo, or has experienced it themselves. Unfortunately, there are not many organizations that exist to help people like me who suffer from a devastating vestibular disorder, and even fewer resources. Many doctors have little to no experience treating patients like me. It’s hard to even find the right information. But VEDA is here, working tirelessly day in day out to educate the people who are still suffering, like I was all those years ago, helping them to find the help they need, while raising awareness so that more people can begin to understand what we deal with on a daily basis. Years ago, I decided to become a volunteer Ambassador with VEDA to give back and support the organization that has given so much to me, and others like me, for more than 3 decades now. 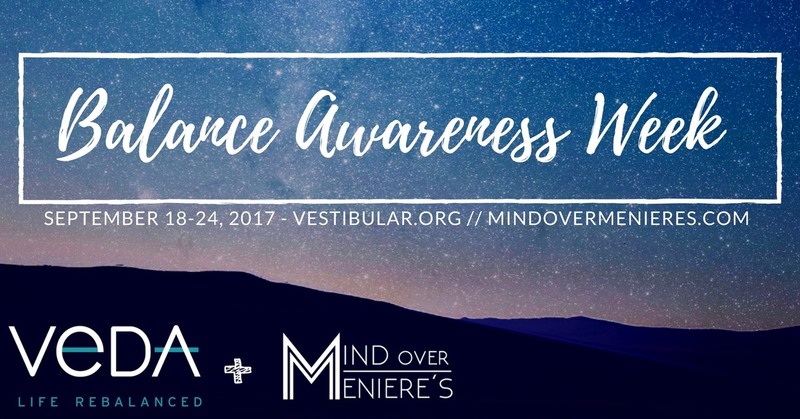 Today, I ask that you support me and make a donation to the Vestibular Disorder’s Association through my campaign for Balance Awareness Week 2017. I will also be co-hosting a webinar presentation with audiologist Barbara Grossman on tinnitus for the Vestibular Disorders Association on Tuesday, September 19th at 7:00pm EDT. 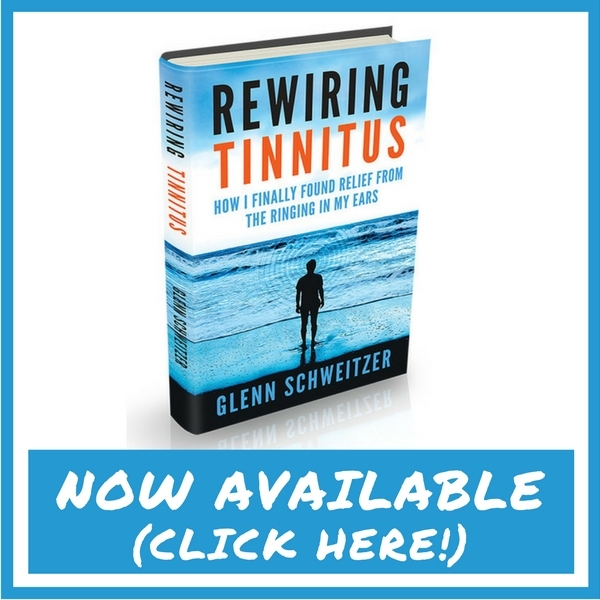 The presentation is titled “Tinnitus: What’s That Ringing, and What Can I Do About It?” and space is extremely limited (to the first 100 people who register), so be sure to sign up as soon as possible! Click here to register for the VEDA Tinnitus Webinar! Create a Personal Campaign Page and share your story about how you rebalanced your life after being diagnosed with a vestibular disorder. Make it fun by creating a team – invite family and friends to join your team or make a donation to support you. VEDA will award the top three fundraisers with a free KEEN backpack! Flat Flamingo Photo Contest: Bring VEDA’s “Flat Flamingo” with you to your favorite places, take a photo, and upload it to your social media pages with the hashtag #flatflamingo17. Get friends and family to vote for your photo – VEDA will be giving a free KEEN backpack to the top 5 winners! Flock Your Friends: NEW! Flock your friends’ social media pages by posting VEDA’s informational flamingo meme, and asking them to share it with others. With your help, we can cover the internet with flamingos! T-Shirts: When you purchase a Balance Awareness Week t-shirt you spread awareness about vestibular disorders every time you wear it. This year VEDA has three designs to choose from. Orders placed at VEDA’s online store August 11-31 will be received in time for BAW! Advocate: Download VEDA’s Balance Awareness Week poster and hang it on bulletin boards in your community. You can also share VEDA’s “Vestibular Facts” or bring our press release (coming soon) to your local paper. Raise awareness among public policy decision makers by contacting your local, state and/or national legislators to let them know about Balance Awareness Week – our Ambassador Toolkit has templates and instructions to make it easy. Join VEDA’s Social Media Campaign: Follow VEDA on Facebook and share their posts – let’s make Balance Awareness Week go viral! I don’t understand how you buy the mp3tracks. Are they sent physically or online. I never buy online. I can send a cheque. Live in Canada. Have bad vestibular loss. Thing one of these heparin sound may help.